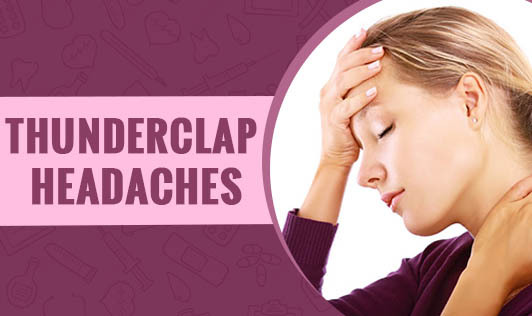 Thunderclap headaches come with a sudden force that may literally knock a person over. This headache lives up to its name, grabbing attention like a clap of thunder. These headaches are uncommon and seem to come out of the blue and are medical emergencies. The pain of thunderclap headaches peaks within 60 seconds and can start fading away after an hour. However, some of these headaches can last for more than a week. Please seek medical attention if you experience a headache that comes suddenly and severely!